Will Liverpool Qualify For This Year's Champions League? Will Liverpool Qualify For This Year’s Champions League? Just as Chelsea are far from certain to have won the Premier League, the Champions League places are also yet to be decided. 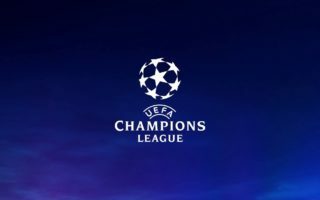 With so many close games yet to play in the league and so many factors between closely matched teams, Champions League predictions today may not be valid the next day, as one injury or suspension could change the fortunes of any team competing at the top. Liverpool somehow still have a chance of qualifying for next year’s Champions League. Before Christmas they were closer to relegation than league success, however, now they are challenging to get into Europe’s elite competition. Liverpool consistently won most of their games once the new year began, with many 1-0 victories racking up the points. This has put them in a great position to qualify for the Champions League and they will be sure to capitalise on any mistakes of their rivals. Brendan Rodgers still believes his side can do it, saying in a recent interview: “There will be changes.” Liverpool have proven that they can win consistently even when they are not playing well and if any of the top four lose their form form then Liverpool are ready to pounce. Liverpool still have to play several of the big teams, most notably against Chelsea. With key players coming back from injury, especially Daniel Sturridge, Liverpool could still challenge for a place in the Champions League and they will certainly compete until the last day of the season.